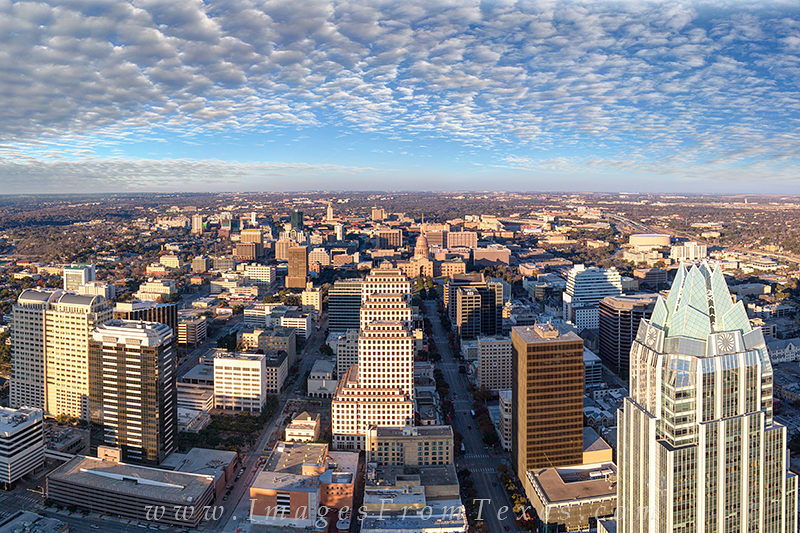 With nearly perfect afternoon clouds, this skyline image of Austin, Texas, was taken from the Austonian, currently the tallest building in downtown and looks down Congress Avenue. In the center of the photo is the Texas State Capitol. To the right is the well known Frost Bank Tower. Photo © copyright by Rob Greebon.